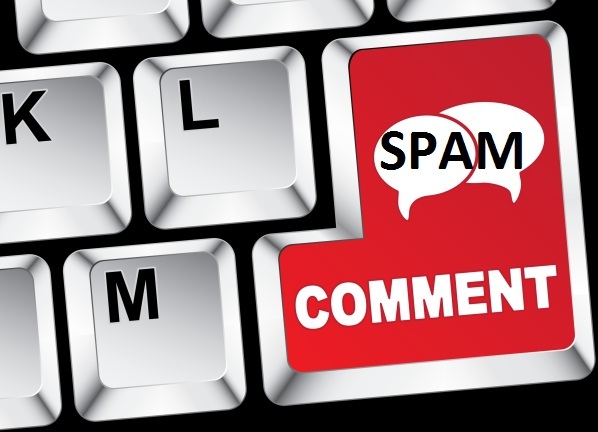 Spam comments are easy to avoid if you work carefully and diligently. Learn how and why to get rid of such comments to gain better search ratings. I have seen on many blogs where spam comments are getting published in scores. Some bloggers just don’t feel enough concerned to filter comments made by their readers. Overall, I trust that it is a good idea to allow readers to make comments but spam comments don’t contribute anything to the value of your article. On contrary, such comments can actually spoil your blog big time. Today, let me tell you how and why such comments are harmful for your blog. All bloggers, especially professional bloggers, must be very careful about what they allow people to publish in their comments section. Spam comments are automatically made by “bots” on your blogs. Bots are software programs that take automatic actions on behalf of the programmer. Wherever these bots detect a comment form –they simply fill the fields with junk stuff and automatically submit the form. Truly speaking, spammers are good-for-nothing folks; sometimes they only want to increase traffic on a particular server with an intention to overload and crash it –the other times they use spam comments as a means to proliferate certain links to get backlinks. But such dirty promotion tricks never work in long run. How to Avoid Spam Comments? For WordPress blogs, you must use Akismet plugin to deal with spam. You can also use captcha in comment form so that it can not be submitted without human intervention. These methods, however, are only partially effective. Spammers can and do find way around filters. And that is why, you need to be careful while handling comments. You may also want to use third-party commenting systems. For example, you can use Disqus and load it on demand. This will certainly reduce comments spam on your blog. How to Identify Spam Comments? If you’re serious about blogging, you must moderate all the comments that go online on your blog. Nowadays, spammers have begun to write very general comments in good English. Such comments can pass through filters and sometimes it is hard even for humans to tell whether a comment is spam or genuine. Spam in blog comments is a big nuisance. I recommend that you read all the comments carefully before approving them. Context is very important in identifying spam. If a comment has nothing at all to show a connection with the subject matter of your post –it is likely to be spam and should be marked as such. General comments are often full of praise for your post, blog or your writing style. You should not get carried away with all those nice words. Be focused for a few seconds, read the comment and look for the context. If you really believe that the comment was made in connection with the subject of your post –only then approve it. You should do comment moderation on a regular basis. Check and moderate comments as and when possible. It is better to be disciplined and decide which comments to be published on let’s say daily basis (it, however, depends upon how many comments you get in a day). If you get 100 comments a day and you don’t moderate them for a month, then at the end of the month you’ll have a good 3000 comments to deal with. So, making a routine for comment moderation is important. Why Spam Comments are Harmful? Needless to say, spam comments give a bad reading experience to your visitors. But that is not the only problem. Even bigger trouble crops up when search engine crawlers begin to consider comment text as part of the article written by you. As these crawler bots find bad out-going links in spam comments, they tend to degrade rating of the overall quality of your article. This means spam comments brings you a bad name in the books of search engines. Oops! That hurts the most! You’ll lose ranking and then traffic and then money! Let me know your views on the subject of spam emails. I would be happy to learn from my readers. Thanks for sharing tips to stop spam comments, i will try it for sure.